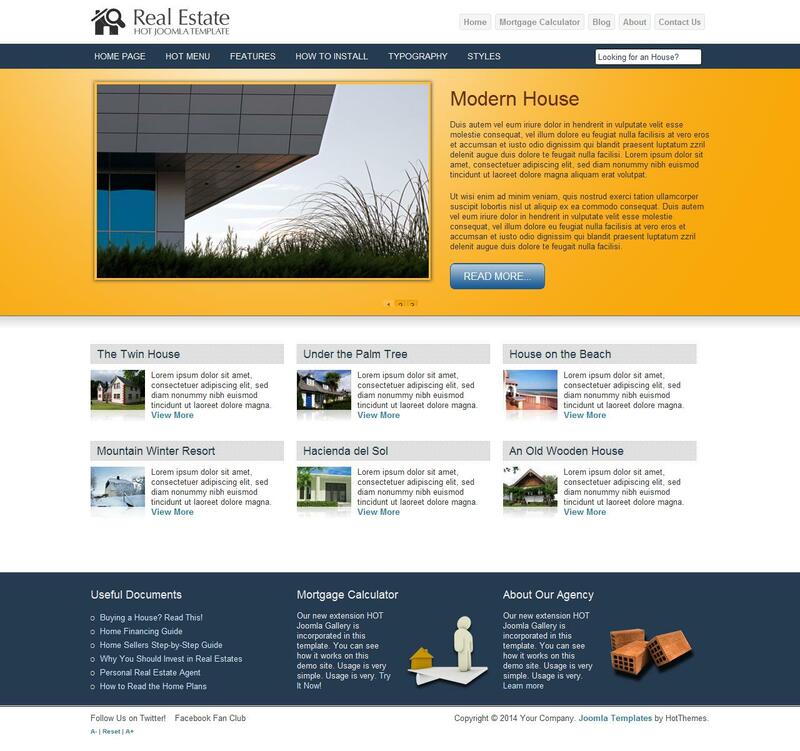 HOT Real Estate - lightweight and very flexible template on the theme of real estate developers HotJoomla. This template is built using several types of menus and easy thanks to the settings panel can be used to create websites of real estate agencies. Thanks to a well optimized code pattern has a high speed of loading pages and includes a handy modular design that allows you to customize placement of modules according to the requirements. In the assembly includes additional extensions studio: module rotation images Hot Joomla Carousel PRO plug and Hot Photo Gallery, which provide stylish display of images on the site.